For Virtual Assistants with a solid funnel in place, it’s easy to take a look at the number of subscribers at each level of the funnel and predict pretty accurately what the sales are going to be from day to day or week to week. Not enough traffic. The very heart of your sales funnel is the traffic you bring in. Without visitors to your blog or opt-in pages, you’ll have no subscribers. Without subscribers, you’ll have no (or very few) sales. Without sales, you’ll have no business. Yet this is where a lot of people struggle. How can you, as a VA, get more eyes on your content and more subscribers into your funnel? How to fix it: Traffic generation is an entire industry of its own, but here are some tips: Use good SEO to encourage search engines to rank your content well. Be present and active in the places where your ideal reader hangs out, whether that’s on social media, in niche forums, or at live events. Use paid ads to drive targeted traffic to highly relevant pages. Recruit VA partners and affiliates to promote your offers. Buy solo ads in related email newsletters. No follow-up. 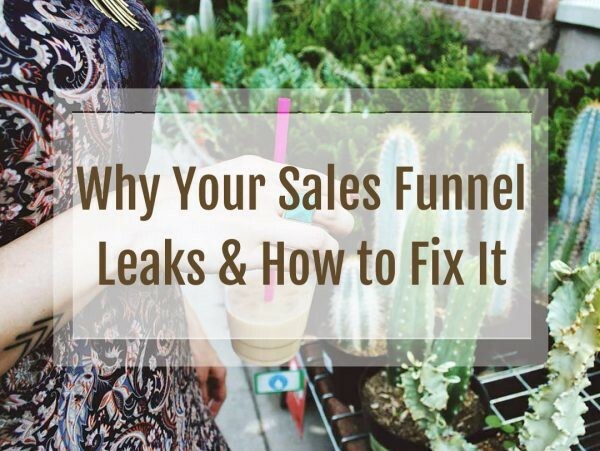 This is a leaky funnel mistake that a lot of new Virtual Assistants make. They spend a lot of time and energy setting up a great squeeze page and driving traffic to it, then they deliver the goods to their subscribers, and then…nothing. No follow-up emails. No offers to buy more. No related services or products. Nothing.